California Attorney General Anthony Becerra has joined a growing list of California elected officials who have spoken out against the U.S. Forest Service’s plan to sell federally-protected wild horses without limitation on slaughter. The sale, import or export of horses for slaughter for human consumption has been a felony in the state of California for two decades. Attorney General Becerra explained in his letter to the U.S. Department of Agriculture Secretary Sonny Perdue and Chief of the U.S. Forest Service Vicki Christiansen that the sale, import or export of horses for slaughter for human consumption has been a felony in the state of California for two decades. 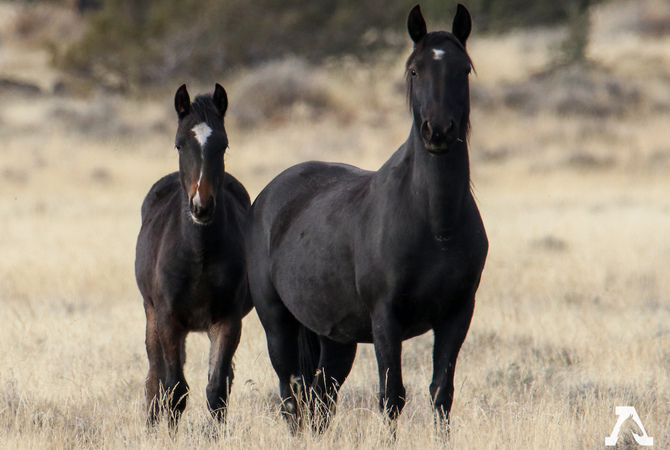 “On behalf of our 750,000 supporters and followers, we thank Attorney General Becerra for standing up for the will of the people of California and the laws of this state by opposing the Forest Service’s cruel and illegal plan to sell our cherished wild horses for slaughter,” said Suzanne Roy, Executive Director of the American Wild Horse Campaign. Previously,U.S. Senator Dianne Feinstein and 23 members of the California State Legislature, led by Assembly member Todd Gloria, wrote to the Forest Service in opposition to the inhumane plan. The horses in question were rounded up over the past month from the Devils Garden Wild Horse Territory in the Modoc National Forest in a helicopter capture operation that ended yesterday. The Forest Service has stated that it will begin selling these wild horses by the truckload for $1 a piece without restriction on slaughter as early as January 10, 2019. Becerra also noted the Forest Service’s plan to sell potentially hundreds of horses without limitation marks a radical change in policy from previous administrations which honored both California law and the no-slaughter policy imposed by Congress on the Bureau of Land Management, the federal agency that manages the vast majority of the West’s federally protected mustangs. AWHC noted that this is not the first time that Becerra has taken a stand against the cruel practice of horse slaughter. As a Congressman representing California before he became Attorney General, Becerra cosponsored numerous federal legislative efforts to prohibit horse slaughter. American Wild Horse Campaign(AWHC) is dedicated to defending America’s wild horses and burros to protect their freedom, preserve their habitat, and promote humane standards of treatment. AWHC’s mission is endorsed by a coalition of more than 60 horse advocacy, public interest, and conservation organizations.